What is the status of the repeal of the estate tax? The new estate tax bill that passed both houses of Congress and signed by the President increases the individual exemption from $675,000.00 in 2001 to $1 Million in 2002, $1.5 Million in 2004, $2 Million in 2006, and $3.5 Million in 2009 and is repealed in 2010. Unfortunately, the new bill allows Congress to reimplement the estate tax in 2011. The new bill also lowered the top rate of 55 percent to 50 percent in 2002 and eventually to 45 percent by 2009. A durable power of attorney is a document that gives another person the authority to manage your affairs even after you become incapacitated. What are the four ways to pay for long term nursing care? Medicaid through the Illinois Department of Public Aid. If you are concerned about having too many assets to qualify for Public Aid you can keep a substantial amount through the use of an OBRA trust. Are there differences between a living will and a power of attorney for health care? A power of attorney for healthcare designates an agent to make healthcare decision for you for medical treatment whether death is imminent or not. A living will is a statement to the health provider that you do not want extraordinary means to be used to keep you alive. We always use a living will in conjunction with a power of attorney for healthcare as a safety net in cases where the Agent is not able to perform pursuant to the power of attorney for healthcare. 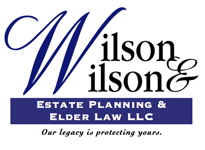 Who should I select as the executor or trustee for my estate planning document? An Executor must file the Will, marshall the assets of the estate, pay any creditors, file tax returns and distribute the remaining assets to those persons named in the Will. If the estate is of modest value a family member or friend may be appropriate. However, if the estate is of substantial means, one should consider the services of a bank or trust company since the estate administration may be complicated. For a trust, the same holds true except the need for professional trustee may be more appropriate since many trustees must hold and manage monies for a longer period of time. How do I know if a living trust is appropriate for me? Can provide through the use of an A/B trust substantially reduced or eliminate estate taxes if you are currently married. Can I leave my disabled son or daughter any assets when I die if he/she is getting or will be getting government assistance? Ordinarily, when a disabled person receiving government assistance receives a gift of inheritance or receives monies outright, the disabled personal eligibility for such assistance may be jeopardized. However, through the use of an OBRA trust or a third party needs trust, the disabled person can receive the benefits from the monies or assets without being disqualified from government assistance. A couple came to our office this year with an estate of approximately 3 million dollars consisting of real estate, IRA's, a 401K and other securities and cash assets. The clients had 3 children of different ages with one being disabled. We suggested that A/B Trusts, a charitable remainder trust, a program of gifting and a irrevocable life insurance trust be put in place. With such planning, we saved them approximately $1.28 Million in estate taxes if they were to die in 2001. We also showed them how to title their IRA's and other qualified funds as to avoid an income tax upon the death of the spouse owning those assets. Within each trust we suggested that they stagger the payouts to their children so their kids would not receive large amounts of monies when their children were at a young age. Finally, for the disabled child we suggested a special needs trust to receive assets for the benefit of the disabled child without jeopardizing the child's eligibility for governmental assistance. The couple took our advice and stated that they had the peace of mind that estate and income taxes would be minimized and that ALL their children would receive their inheritance in a way which was best for each of the child's life situation.